Structural Trading is happy to announce the partnership with Mr Top Step, http://www.mrtopstep.com/ . Mr Top Step has a group of awesome traders and I feel honored to be associated with them. New webinars/ videos will be presented in near future, dates to be determined. After November 30, 2012, existing videos on this site will no longer be available, but those that have invested in them prior to November 30, 2012 will have continued access to them. 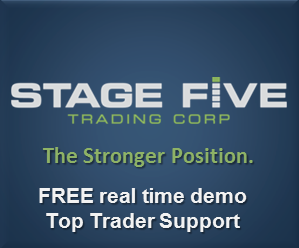 One week free trial is available, email me at kathy@structuraltrading.com to find out how. There will be no premarket video this morning. I am out of town and don't have a mic. I apologize for this mishap. The room is open though. Due to closure of CME futures and US equities closure today due to Sandy storm, I will not be doing premarket analysis and taking the day off. The room is open for members though. OptionDawg aka Jerry, will be posting option spreads for low stress / low cost for those learning options or who would like to learn a mechanical way of trading options. Click here to follow his posts. My internet service has been in "they're working on it" since yesterday. Currently my upload speed fluctuates between 0.86 to 13.83 (I normally have 30) which means I have a weak signal of the internet. I cannot upload the charts to wordpress or screencast except during the "high" spurts over 10. So I'll keep adding the charts as allowed. Until they get it fixed I do not have enough internet strength to stay in the room so even if you are able to enter the room, my charts will not be visible. I apologize for the inconvenience ... unfortunately I regret giving you the same sentence they give me. I hope it'll be up and running before the open. The recording for the Gartley and Butterfly webinar is now available. Click here to access. First, Structural Trading is happy to announce a new indicator available to premium members, created by our Anna for NT7, draws harmonic rotations and fib confluence, click here for a short video showing it in action. Second, the Gartley & Butterfly Webinar is tonight at 8:00 pm ET, the cost is $40, less than 1 ES point, click here if you'd like to sign up. Thanks to Steve with shrinkmytaxes.com for a great presentation. Click here for the recording.